Pesach (פסח) is the Jewish holiday that falls in the spring, usually in late March or early April. It is the holiday that celebrates the Exodus of the Jews from Egypt. The Jews were slaves in Egypt for 210 years. They were forced to build cities for the Egyptian Pharoh (פרעה). The holiday lasts for 7 days in Israel, and 8 outside of Israel. One of the hallmarks of Passover as it is called in English is that bread and other products that are made with yeast are not eaten the whole week. The events leading up to the actual Exodus are described in the Bible, in the book of Exodus (שמות). Moses (משה) lead the people out of Egypt and they received the Torah on Mt. Sinai (הר סיני). We celebrate Pesach by first cleaning out our houses from all forms of breads (לחם), cakes and cookies. This often takes some time especially for families with many children, because you never know where all the hiding places may be. Next we do a search for the bread. This is lots of fun for the children because they take a piece of bread, wrap it up in a piece of paper, and then hide 10 small pieces around the house. When all the pieces are found by the father, it is put aside for burning the next day. The most important part of Pesach is the Seder. The family gathers around the table, which has been set fit for a king, with special table settings, four cups of wine (יין), the seder plate with the different symbolic foods. The service is read from a special book called the Hagadda (הגדה), that tells the story of the Exodus. At certain places in the seder, a symbolic food is eaten. First is the parsley, then bitter herbs (מרור) and then the Matza (מצה), the special unleavened bread, that is made without yeast and is not allowed to rise. 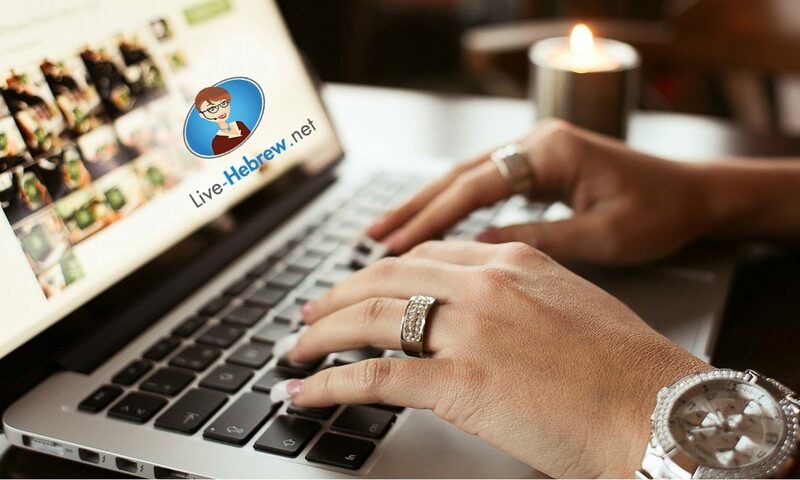 The seder can take a long time, and it is not uncommon for families to stay up very late. The festive meal is then served with many traditional foods such as chicken soup, kugels and very tasty Pesach desserts. In Israel the children are on vacation from the week before Pesach until the 8th day. It is a time for families to spend time together. Pesach is a great time to visit Israel, the weather is very pleasant, lots of cultural activities are organized and the atmosphere is great, you can even enjoy a kosher lepesach pizza or pasta! 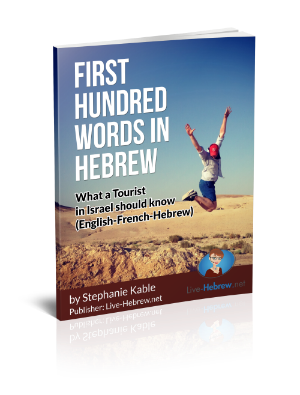 Get ready for your trip to Israel with Hebrew conversation lessons via Skype.